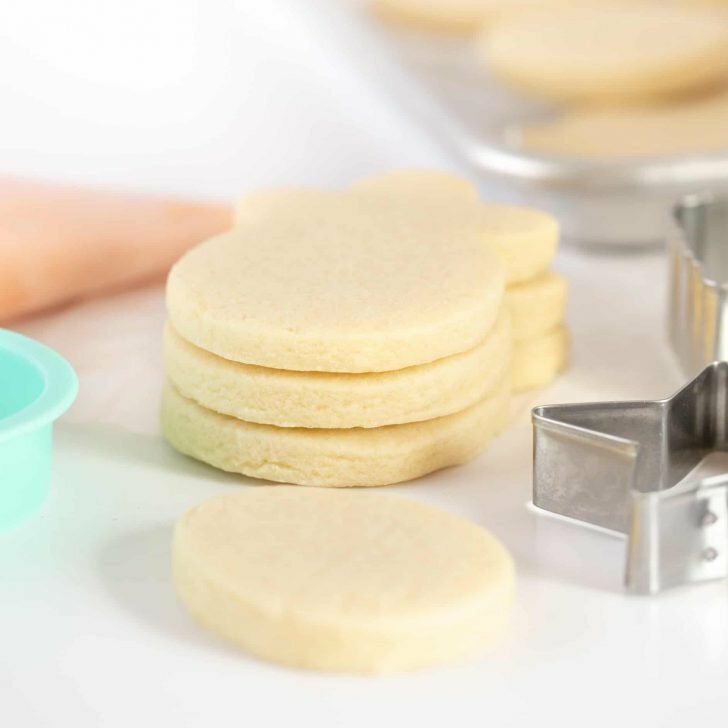 Replicate the famous Swig sugar cookie recipe by making a batch of these soft, thick sugar cookies – topped with delicious buttercream frosting! 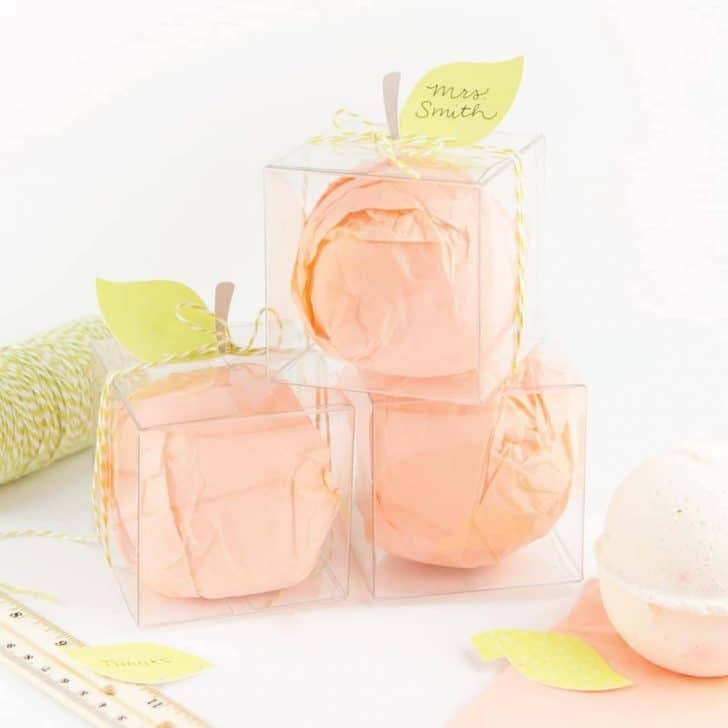 Perfect for Mother’s Day, Valentine’s Day, birthdays, or just as a go-to giftable treat. 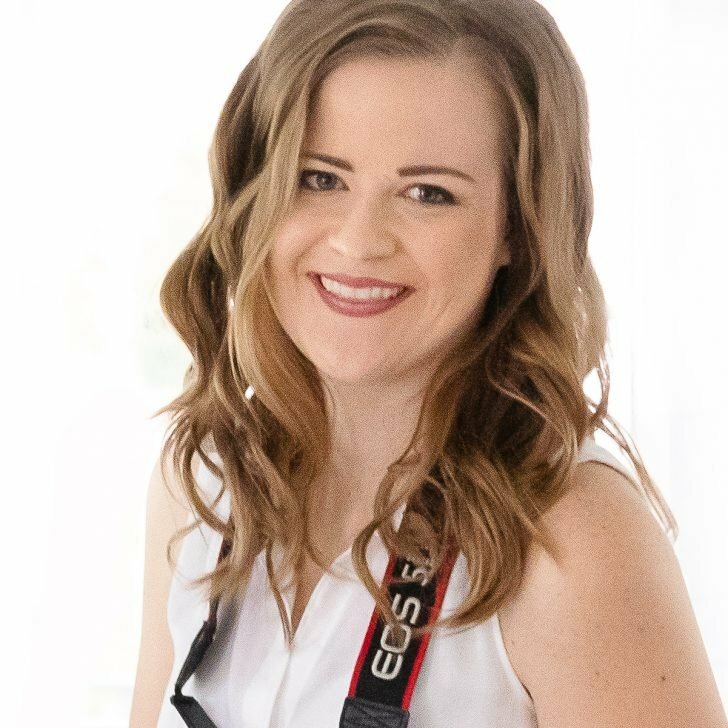 If you’re familiar with the Salt Lake area, then you probably know what places I’m talking about. But if not, let’s just say that visiting and picking up a sugar cookie from Ruby Snap, Sweet Tooth Fairy, or Swig won’t disappoint. All completely different types of sugar cookies, but all so. so. good. 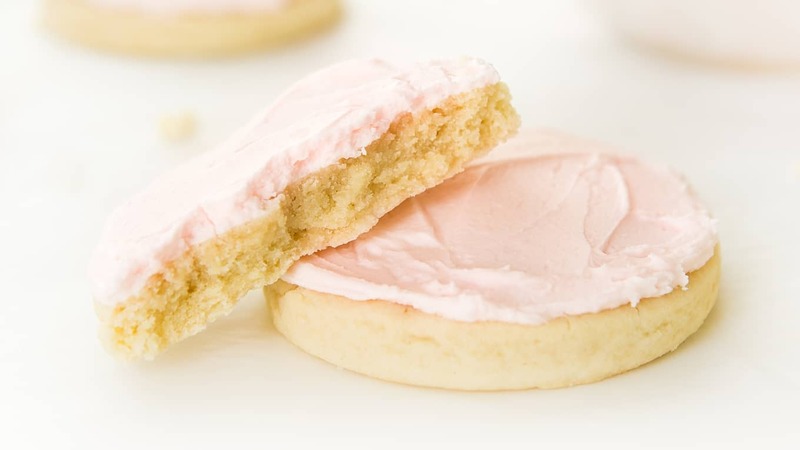 So when I was itching to make cookies yesterday, I wasn’t necessarily trying to replicate one of these Utah favorites but by the time I was done I was shocked at how similar I had accidentally made them to the famous Swig sugar cookies. Probably one of the best happy accidents to come out of a Sunday morning baking sessions, as I will now be able to indulge in a Swig-like sugar cookie when the day comes to move out of Utah. I’m not going to say they taste EXACTLY like the real Swig sugar cookie recipe, but I’d say I’ve got about a 80% match. I’ve tried a different recipe from the web once and it was super dry and didn’t taste anything like the actual cookies, so I’m pretty excited that this one nails the dense, yet soft texture. 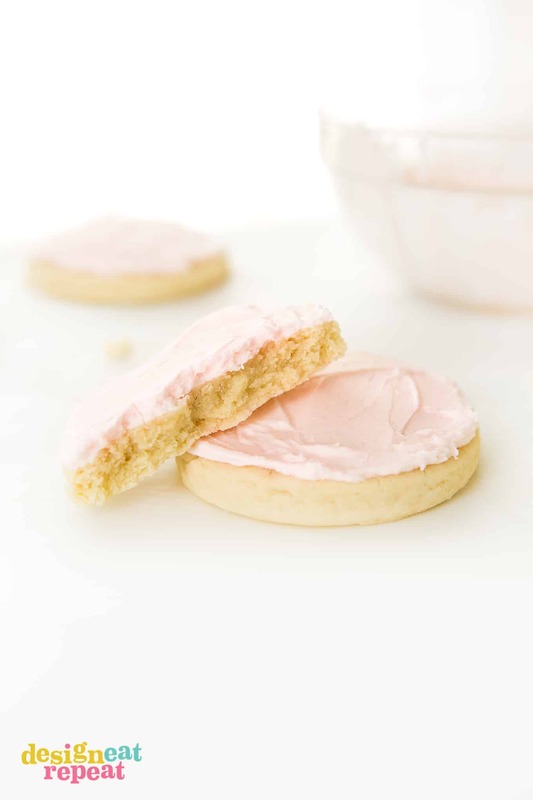 I’ve experimented with many sugar cookie recipes over the years, but this one take the cake cookie in the thickest and softest sugar cookie to grace my kitchen. Not overly sweet, just a nice dense cookie whose size basically constitutes it as a mini-meal. 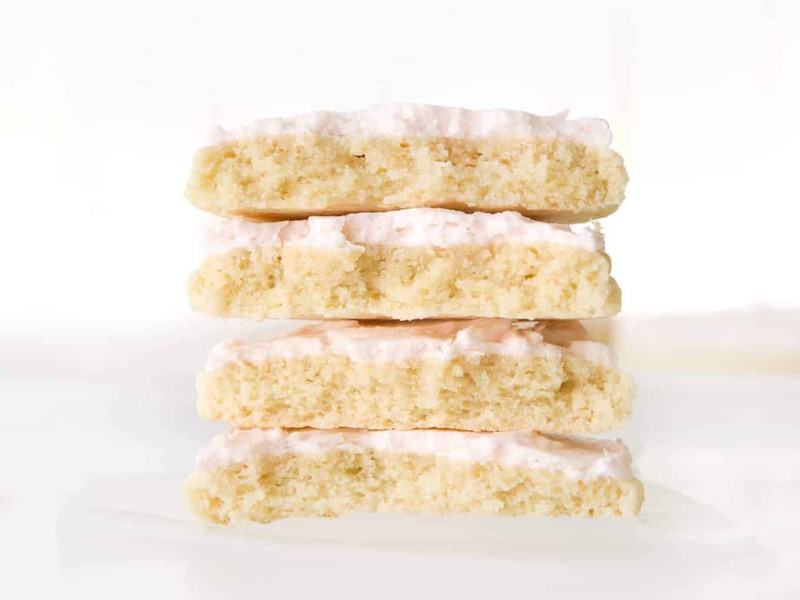 Although the actual Swig shop that I go to makes the cookies with a clean, round edge – I’ve heard the traditional Swig cookie has rough, uneven edges. So I realize they aren’t 100% authentic in appearance, but that’s okay with me. 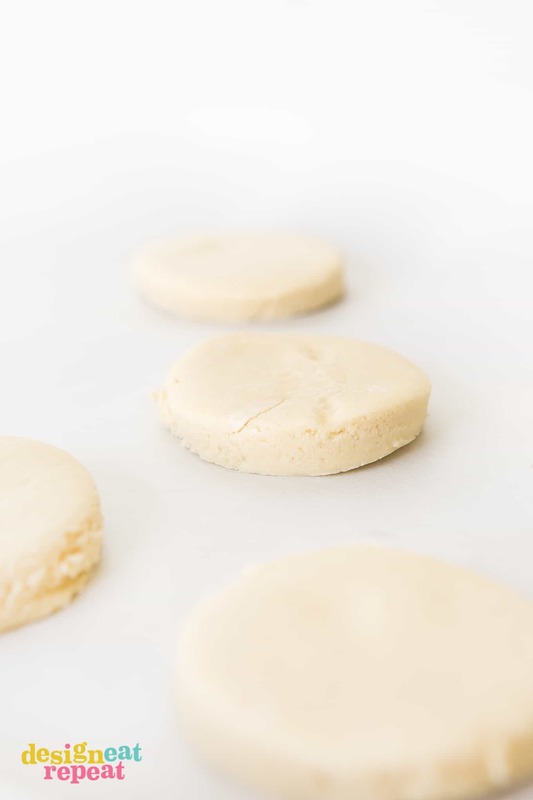 The dough is much softer than a typical roll-out sugar cookie dough, so the trick is to roll it out in between two pieces of parchment paper that have been dusted with flour. 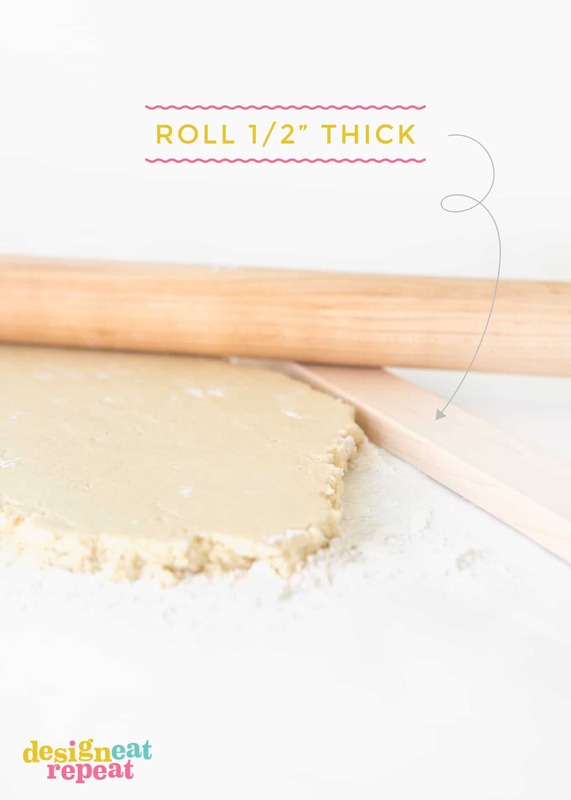 Because the secret to Swig sugar cookies is their thickness, I rolled these out at 1/2″ thick and then cut them out with a 3″ round cup. You could certainly cut them as other shapes, but because this dough is so soft, I would stick to super basic shapes as they will likely get a little stretched when you move them from the counter to the baking sheet. (If you want a recipe that holds the shape more, try this one). So now that we have the thickness, let’s talk about their softness. The trick to these cookies is to slightly underbake them. With the size I made them, I baked them for exactly 11 minutes. They will look a little underbaked but as soon as you take them out of the oven, allow the cookies to cool ON the hot baking sheet for 15-20 minutes. This will help them continue to bake, without the heat of the oven turning them brown and crunchy. Once cooled, the last thing to do is frost! 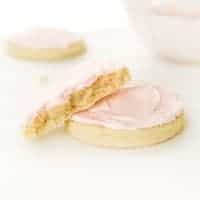 This recipe is a super soft, spreadable buttercream that gives the cookies a nice finishing touch. Because the dough isn’t as sweet as some of the recipes I’ve made, the frosting adds a vanilla almond flavor that meshes well with the cookie. After frosting, I recommend placing them in the refrigerator for them to chill and set a bit. The one thing I LOVE about Swig sugar cookies is that they serve them chilled. It just helps all the flavors mesh together and gives the cookies an amazing texture. Not a necessary step, but one I suggest trying. Package them up in cute plastic bags with tags or boxes and gift away! These would make the perfect giftable cookie on their own, as they are big and substantial. 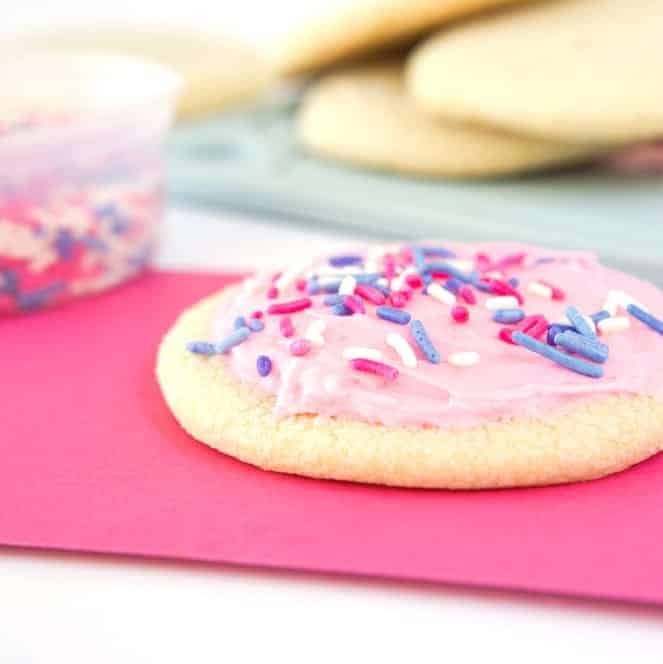 Replicate the famous Swig sugar cookie recipe by making a batch of these soft, thick sugar cookies - topped with delicious buttercream frosting! 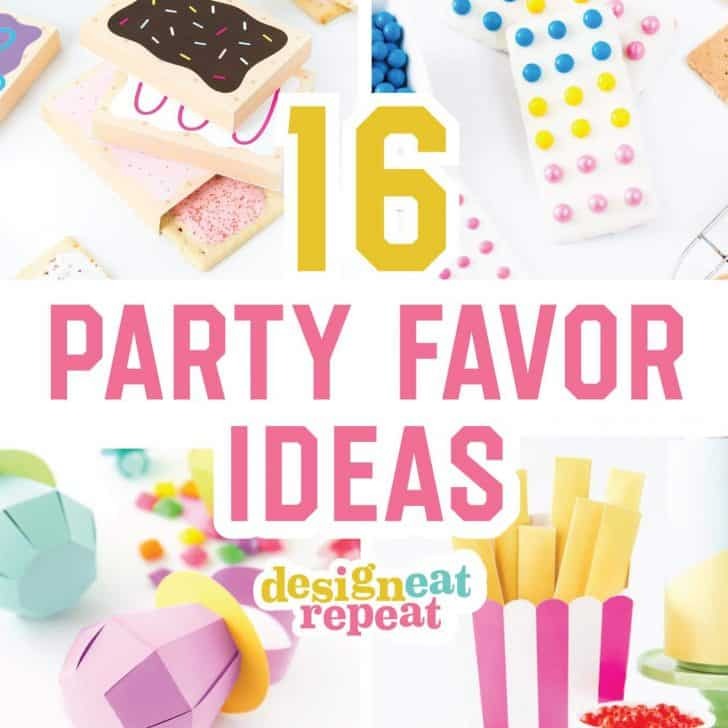 Perfect for Mother's Day, Valentine's Day, birthdays, or just as a go-to giftable treat. Preheat oven to 350 degrees. To prep for rolling, lay a piece of parchment on the counter and sprinkle with about 1 teaspoon of flour. In a large bowl, cream together butter and sugar on medium speed for 20-30 seconds. While mixer is still on medium speed, add in egg, vanilla and almond extract. Once mixture is combined and all the flour disappears, transfer dough to the piece of floured parchment paper. Press mixture into large ball so that it is all incorporated and any loose floury pieces are pressed in. Lay another piece of parchment paper on top of dough (to prevent sticking) and use a rolling pin to roll dough 1/2" thick. *Note that this dough is softer than many roll-out sugar cookie doughs, so the parchment paper helps prevent sticking. 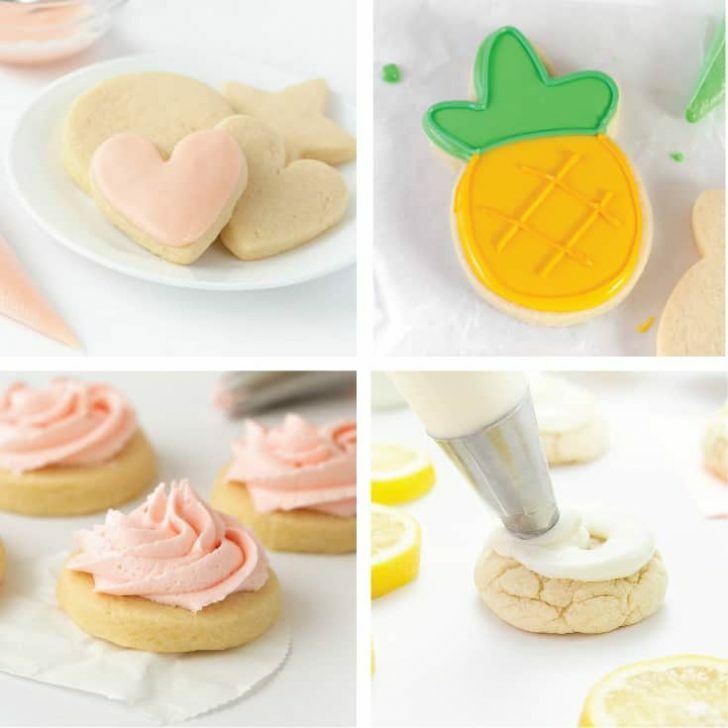 Use a 3" circle cookie cutter (or drinking glass) to cut out and transfer to a parchment baking sheet. Bake at 350 degrees for 11-12 minutes. Do not overbake. 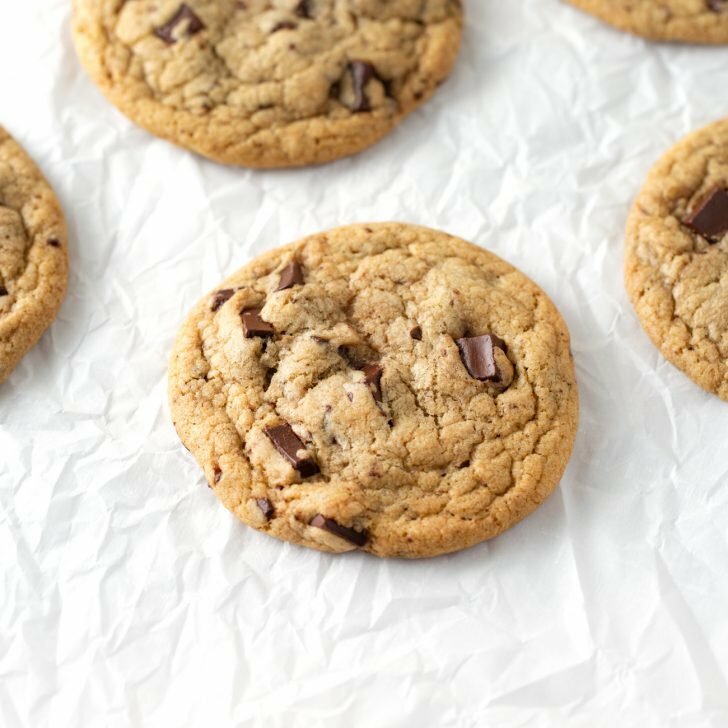 Cookies may look underdone at 11 minutes, but I recommend removing them from the oven before seeing any brown on the edges. Once baked, remove from oven and place pan on a cooling rack. Do not remove cookies from hot pan. Let them rest on the hot pan for 15-20 minutes to finish baking before removing from the pan. Once completely cooled, generously top with frosting. To Make Frosting: In a large bowl, whip butter for a 3-4 minutes until light and fluffy on high speed. Whip in vanilla extract, almond extract, and salt. On medium/low speed begin adding in powdered sugar 1/2 cup at a time until all is incorporates. 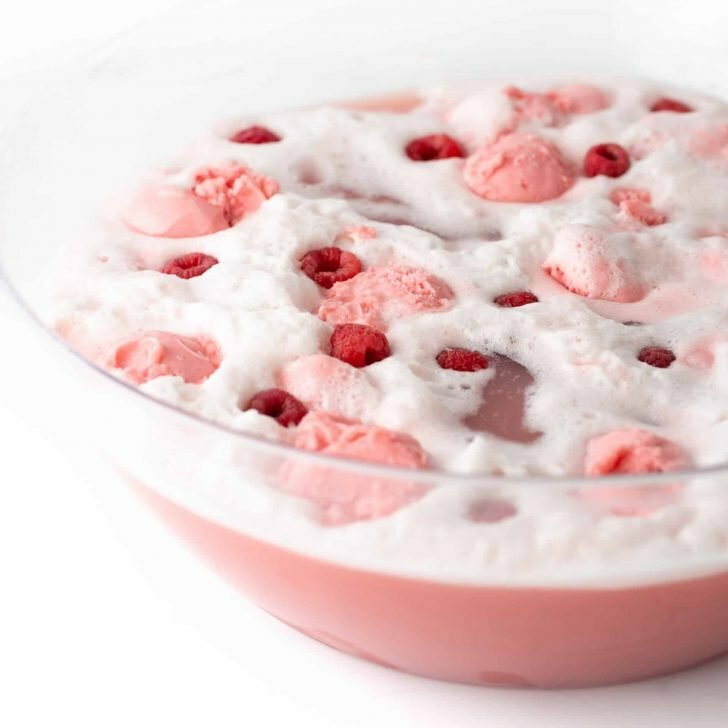 Mix at high speed for 2-3 minutes until nice and creamy. 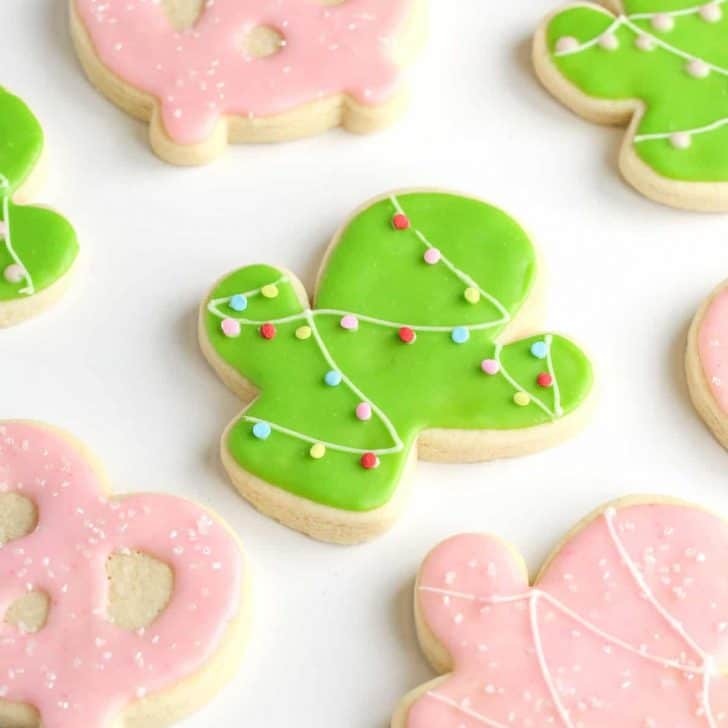 Package in plastic cookie bags with my free printable cookie tags! 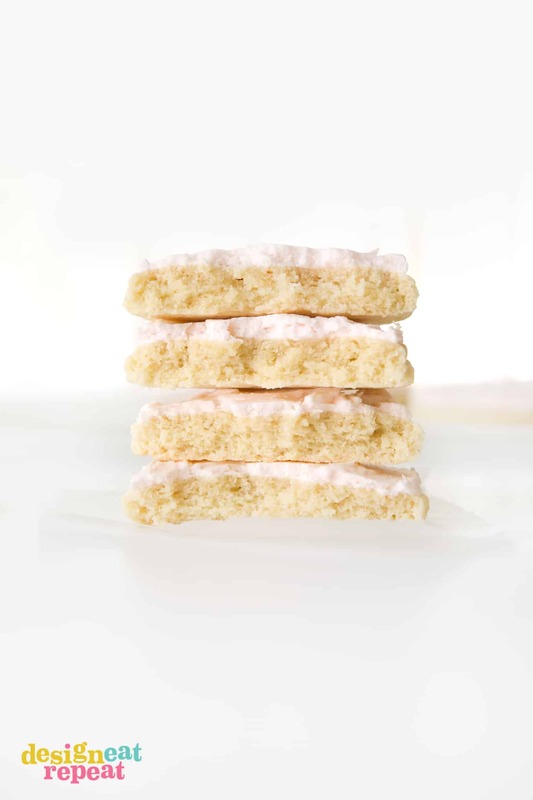 Have you tried an original Swig sugar cookie? If so, if you end up making these I’d love to hear how you think these compare! I have real swig cookies in my freezer. Visited there a couple weeks ago. Bought one and half dz. Heavy cookies. Delicious. Cross between shortbread and sugar. Smooth edges. So so good. Oh man, I’m jealous of your freezer stash! I miss going to Swig now that I moved away from Utah! This is my second time making your recipe— these are the real deal swig cookies!! I’ve tried several other copycat recipes out there, but this is the most authentic! Ahh this makes me so happy! I’m so glad you love them as much as I do. I too had tried several copycat recipes (and also tried their boxed mix!) and could never get that signature texture/flavor until these!